When I cook, craft, sometimes even when I clean I wear an apron. I have a drawer full of them, and when my children help out they like to wear one too. What’s cuter then you and your little mini-me being matchy mathcy?! 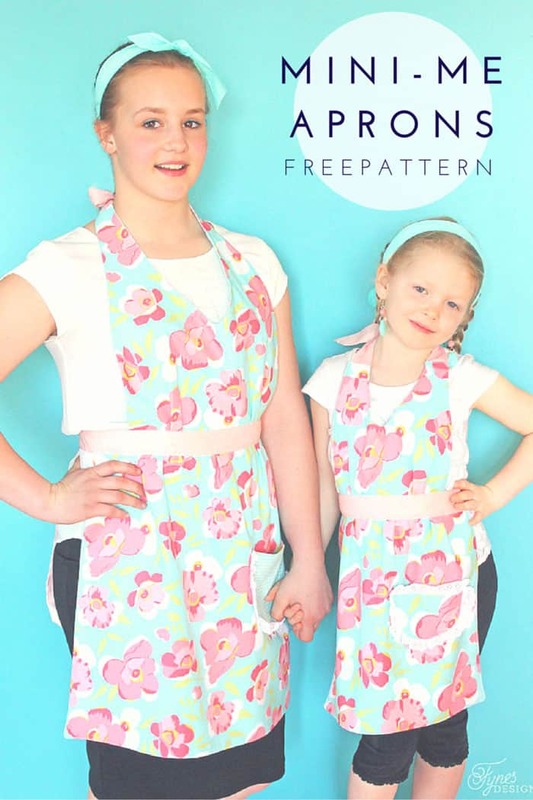 I figured you might need a free apron pattern, so you can get matching too! 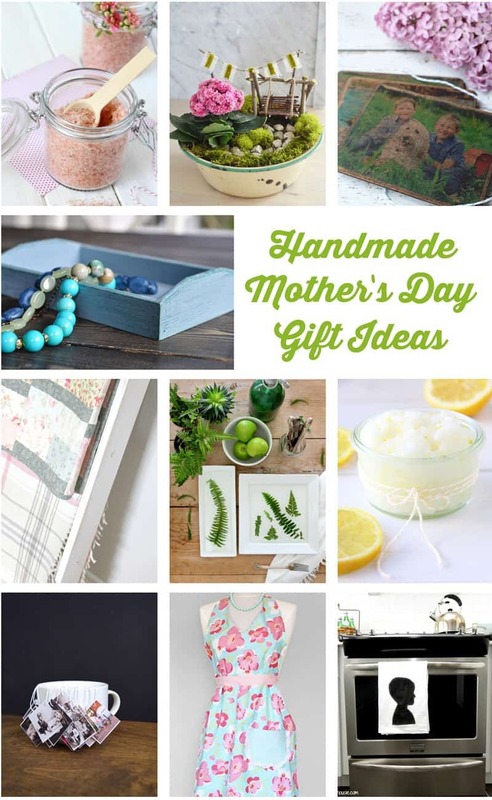 Today I’ve teamed up with my favourite group of bloggers to bring you a special hop filled with Mother’s Day gifts, little ideas how you can treat mom or grandma with a special handmade gift. Do you remember back last year when I shared the 10 minute dish towel apron? 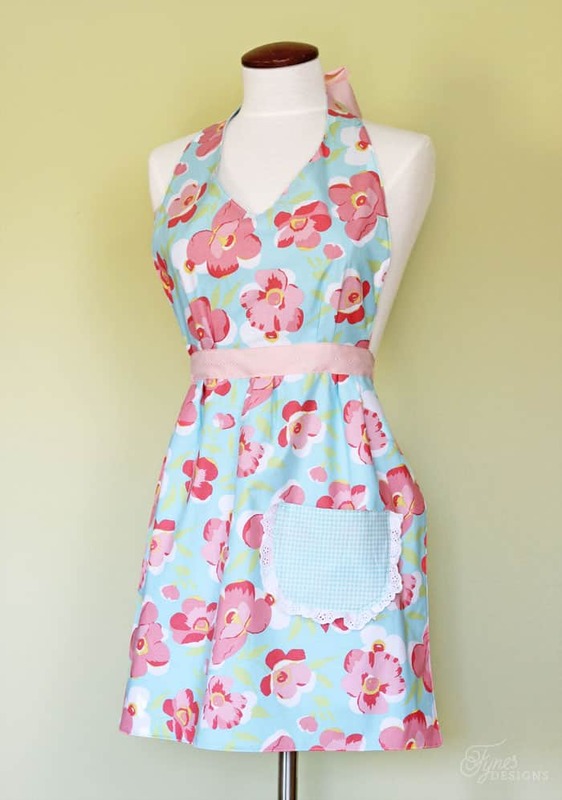 It was SO easy to make, it literally takes 10 minutes (if you’re pressed for time you might want to check that idea out), this apron follows the same idea, but has a top and a cute pocket. I’m confidant you could make this little apron in no time. Cut printed pattern piece from the front and back fabric. From the ‘V’ of fabric remaining (neck hole) create the pocket. Add trim if desired by first basting to the edge of one side. Place right sides of fabric together and stitch around the rounded part of pocket, leaving the top open to flip. Turn right side out. Turn open edges to the insde and press. Stitch pocket pieces closed. Lay ribbon nect ties pieces in place (according to the above photo), Place right sides of apron top pattern pieces together. Serge or Zig Zag stitch around the outside edge leaving the waist open (I used dark thread so you could see stitches). Pull on ribbon ties to flip right side out. Top stitch a 1/4″ seam around the outside edge using a coordintaing thread color. Cut the skirt piece according to measurements on the downloaded pattern piece (above). Place right sides together and serge or zig zag + straight stitch around 3 sides (sides and bottom) leaving the waist open. Turn right side out, press seams, and top stitch a 1/4″ seam around the 3 sides. Apply pocket, by top stitching around the curved edge. Next step- you will need to create 5 pleats- 3 on the skirt, and 2 on the top. Follow the method in the photo below. Should you need a text description- refer to this apron post. Serge or zag stitch the open edges or the of the apron top and skirt. Over lap the raw eges of the apron top and skirt and baste in place. (refer to photo above). Fold longest strip of waist ribbon in half to find the centre, measure to find middle of skirt and overlap where the raw edges join with the ribbon. Pin in place. 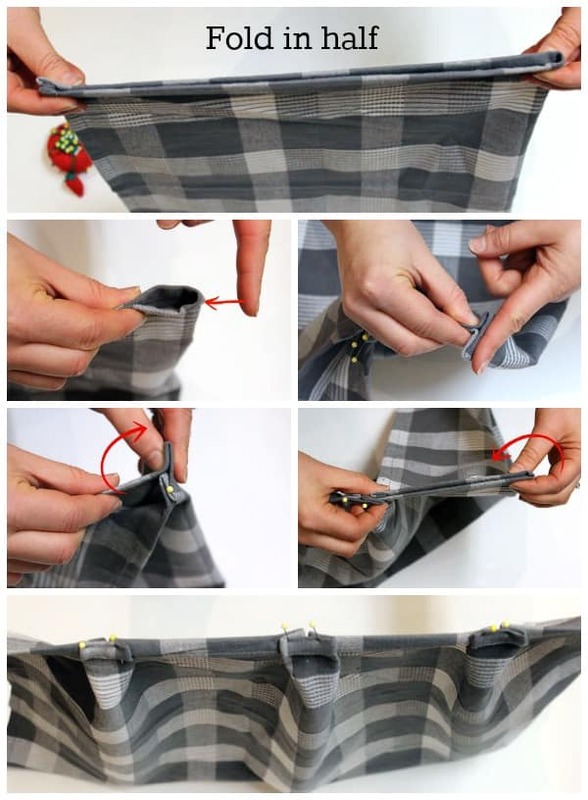 Turn apron over, fold raw ends of ribbon under, and line up matching the top and bottom of each piece of ribbon, sandwiching the apron between the ribbon. Using matching thread color sew around the edge of the ribbon joining the pieces together. By extending the length of the child size, it can be made to fit any size! Isn’t it the perfect apron for mom or grandmas little helper?! 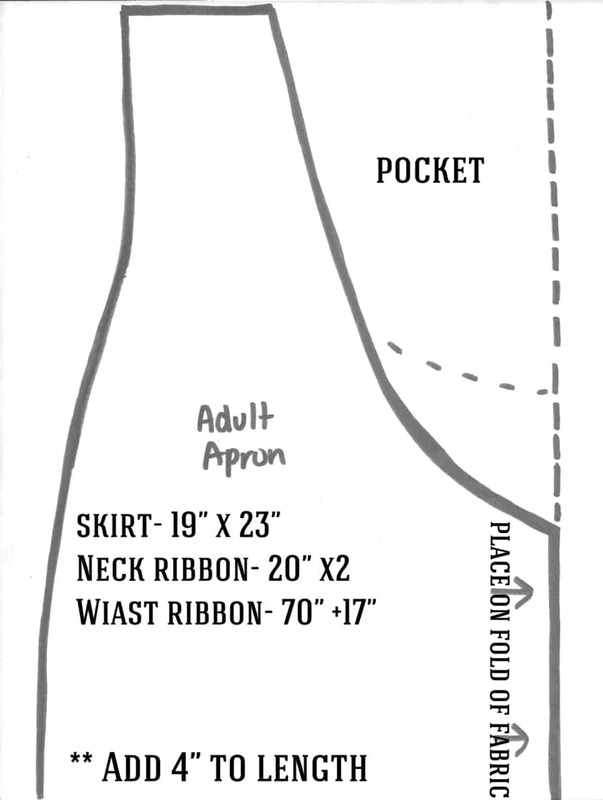 This free apron sewing pattern is perfect for the beginner sewer! I’ve never made one with the bib and skirt as separate pieces then attached. I’ll add this to my patterns! Oh Virginia! These are just the sweetest! 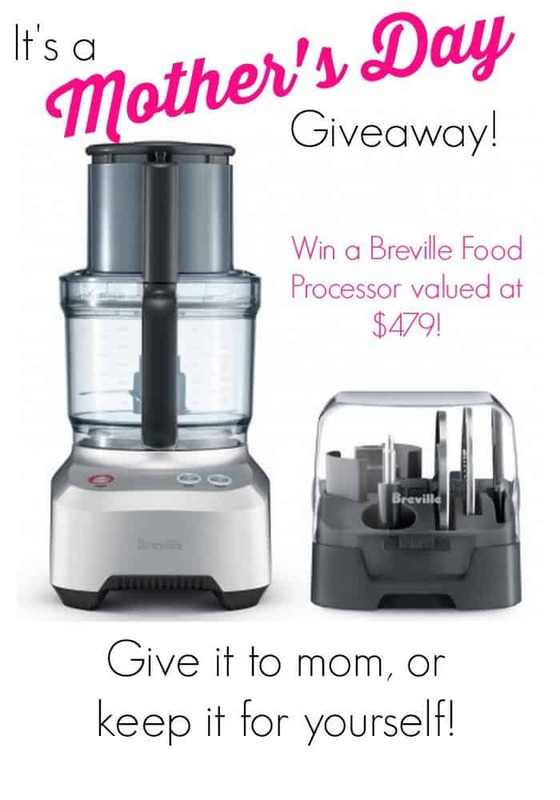 What a perfect idea for Mother’s Day!!! You are so talented V! 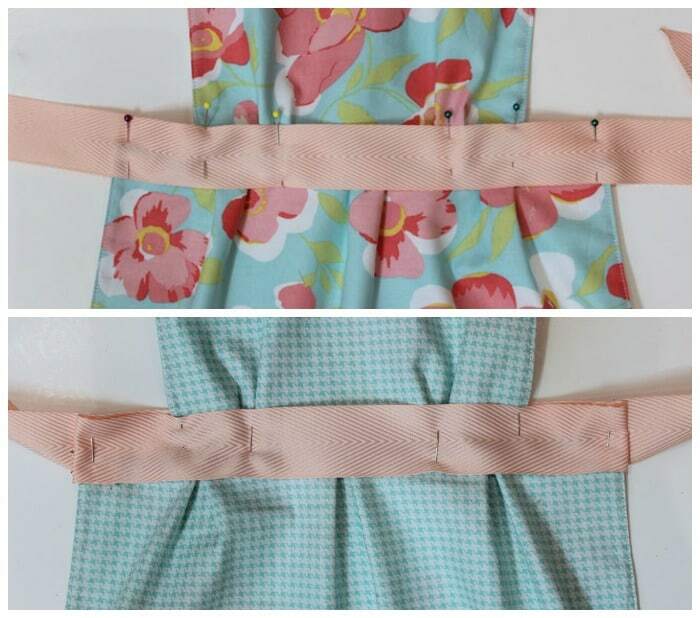 These aprons are so beautiful…I love the idea of matching ones for the kids. Love them! Such a cute idea! My aunt made my son a little apron to wear when he’d help out in the kitchen back in the day. Now my nieces and nephew wear it when they visit. Not sure how many cupcakes have been made over the years. Perhaps those memories are the best gift of all! So cute!! I love the pattern you chose – all of my favorite colors in one! Oh, these are so sweet Virginia. 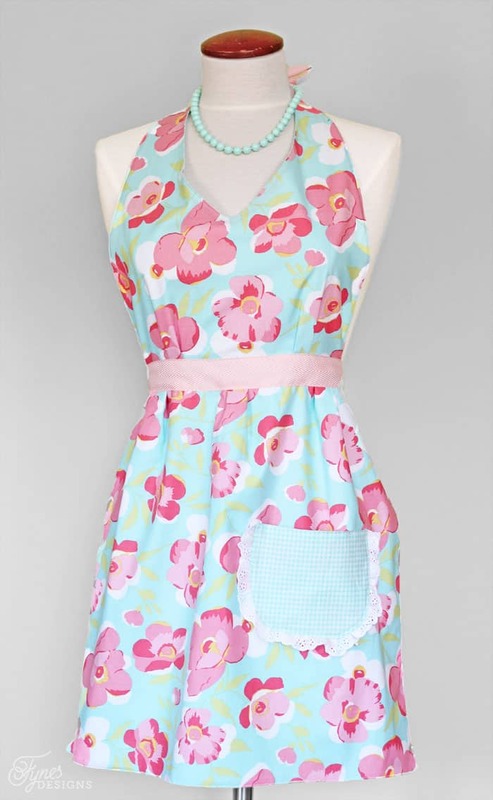 I am a SUCKER for aprons, and matching ones are even more adorable! Thanks for the free pattern! Virginia – you are so talented! I love these! Pinned! Am dropping by from the Mother 2 Mother link party. 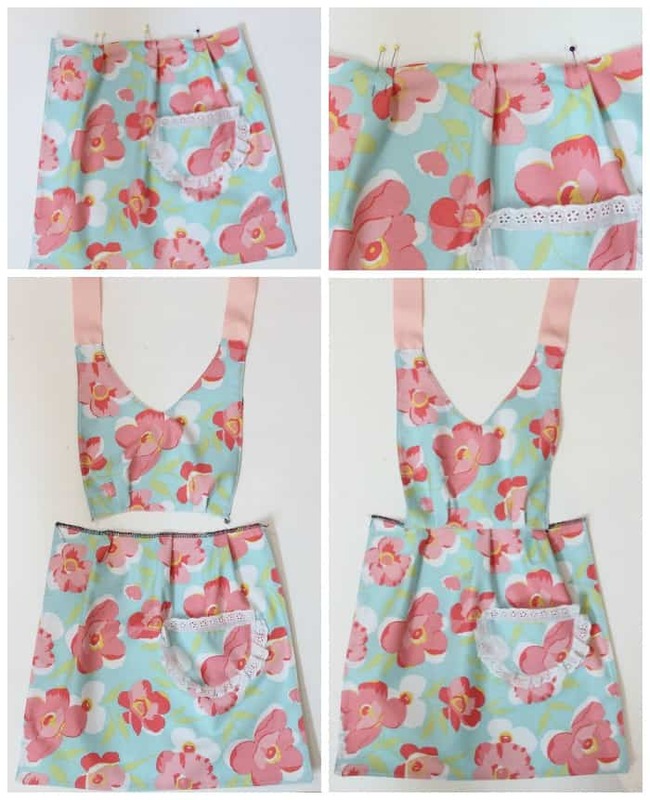 These aprons are so darling!! 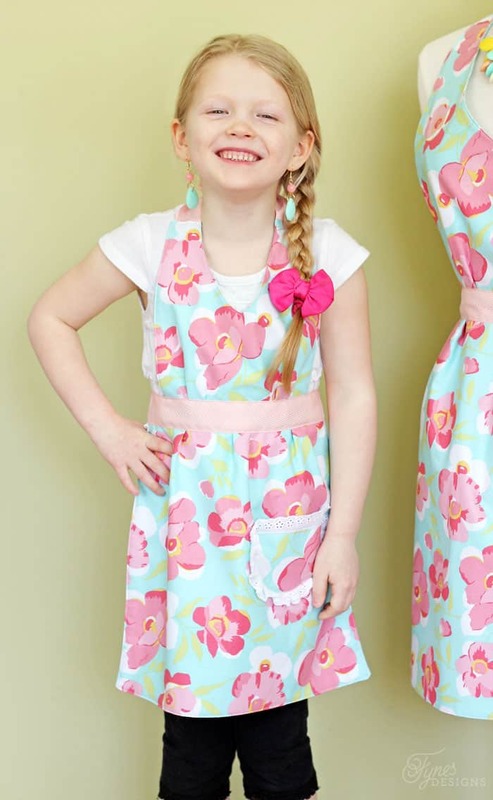 I would like to make matching aprons for me and my granddaughters. Thanks so much for sharing –especially the pattern! That is a fabulous idea! My kids love wearing their aprons when they go to Grandmas! 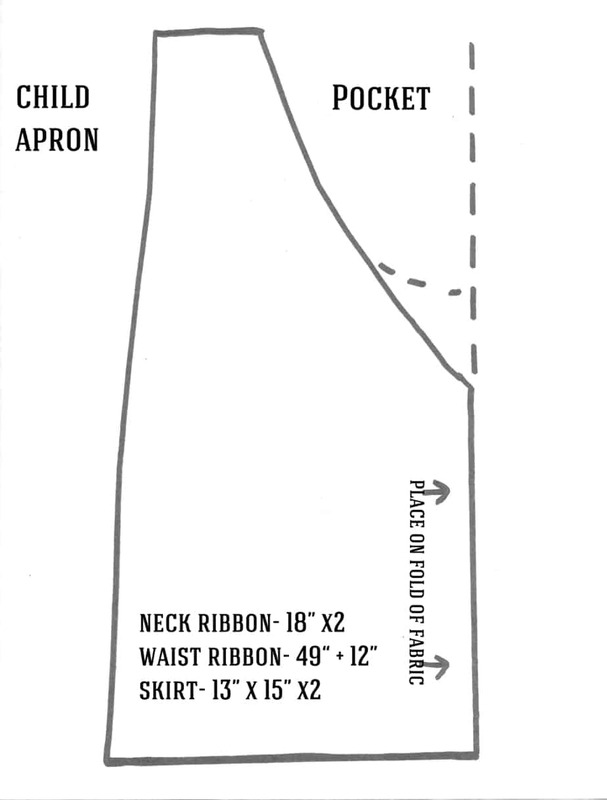 Really cute apron pattern. The fabric is the perfect choice. I love these! Thinking of using them for teacher gifts this year. When I try to download the kid’s version, it’s just the adult version though. Would love to make one for my daughter too! thanks for the heads up suzanne, I’ll check it out. This is super cute for moms and daughters! Thank you for sharing it at #SmallVictoriesSundayLinkup ! So happy you can use this pattern, I’d love to see your creation when you’re done! so adorable and cute! 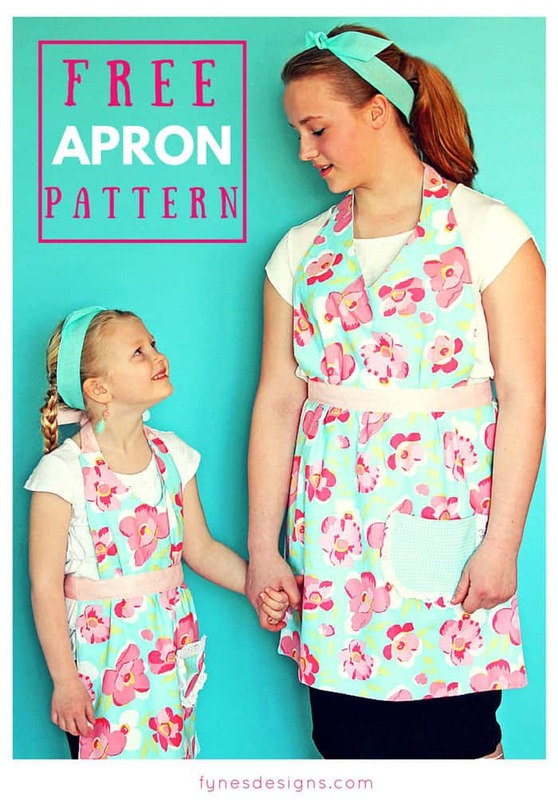 love matching aprons and this tute is so easy to follow anyone could make theirs. Use the opportunity to sew with your child/grandchild too! Appreciate the tute and pattern! Beautiful! I pinned this to my Pinterest board in case someone can use it. I don’t have a sewing machine myself. Visiting from one of the Friday blog hops. Wishing you a lovely weekend! Cute aprons! I’ve been thinking about making matching aprons for me and my daughter! She likes watching mommy (me) in the kitchen and trying to help. 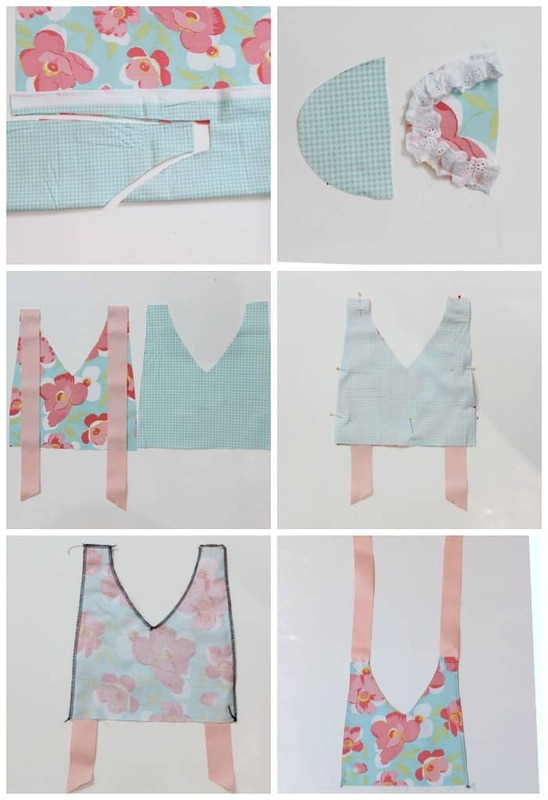 How cute these aprons, my grandmother used to make them, and wore a different one everyday!! What gorgeous aprons! That fabric is stunning! This is one of the most gorgeous things I have ever seen. Matching mom and child idea is so creative. Well done with that.